Batch summer cocktails don’t get much tastier than sangria! 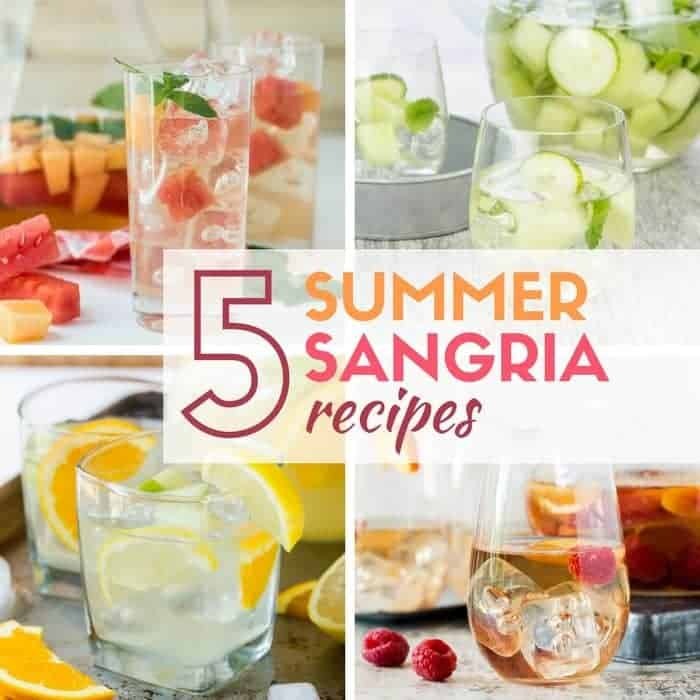 Find a new favorite with our guide to How to Make 5 Easy Summer Sangria Recipes! 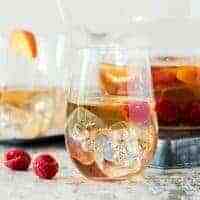 Mention sangria and most people think of the classic Spanish version of the drink – a red wine, citrus juice, liquor and fruit concoction. Definitely delicious, but during the summer, we like our sippers to be a little bit lighter and brighter. Think white and rosé wines in place of the red wine and fresh berries, juicy melons and peaches in lieu of oranges and apples. Are you thirsty yet? Get all the details with our tips for How to Make 5 Easy Summer Sangria Recipes. Well, not too cheap, but feel free to grab that bottle of wine on sale for $9 or $10. Vintage and barrel number don’t matter in sangria recipes because the flavor is so influenced by the fruit and other ingredients. No need to break the bank when you make sangria. It’s tempting to want to pour yourself a tall, icy glass of sangria right after you make it, but try to refrain. 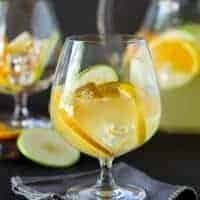 Giving the sangria time to “rest” and allowing all the flavors to meld together is what gives sangria its unique, delicious flavor. 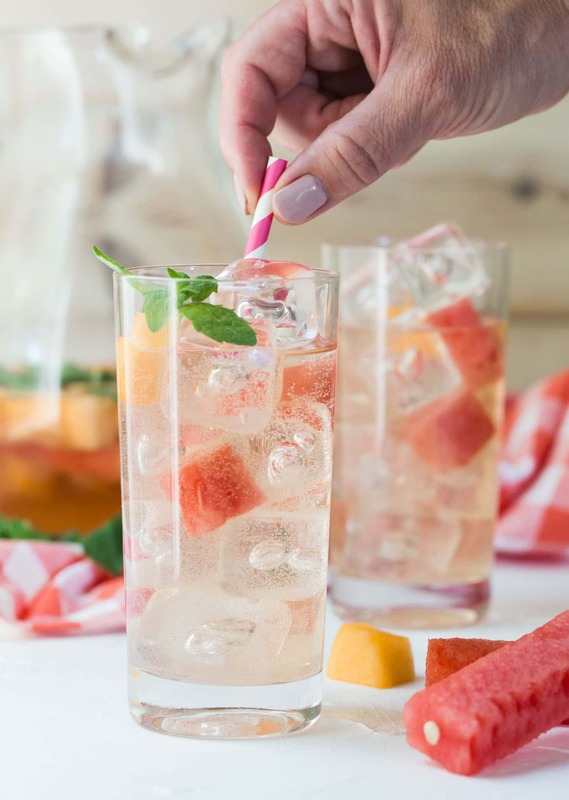 Not all sangria recipes call for club soda or a carbonated wine, but we think every sangria recipe benefits from a little bit of bubbles. And ice. Always remember to serve sangria over ice. 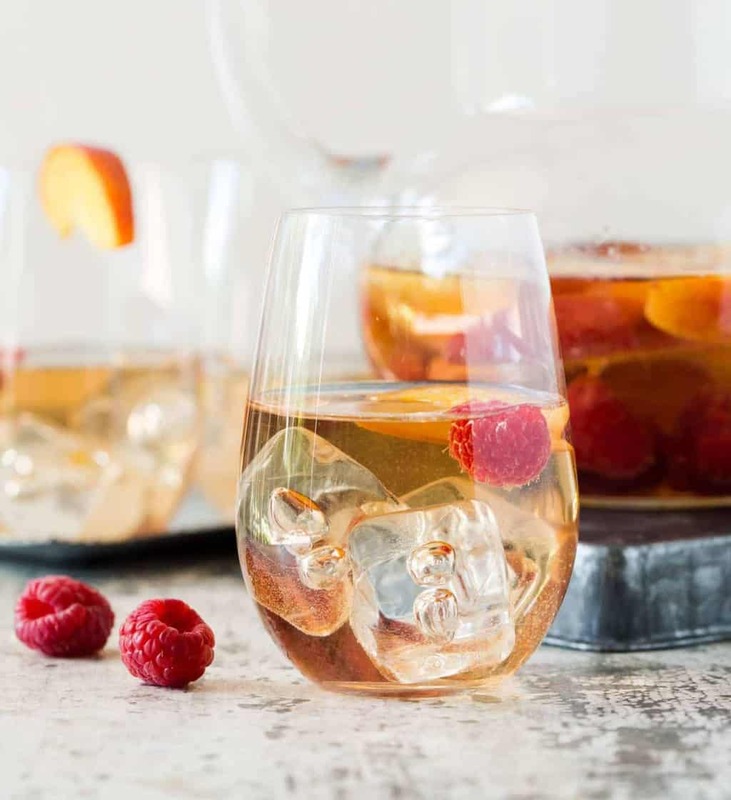 A nip of brandy gives this Peach Rosé Sangria a bit more heft than others – perfect for people who think sangria is too foo-foo for them. 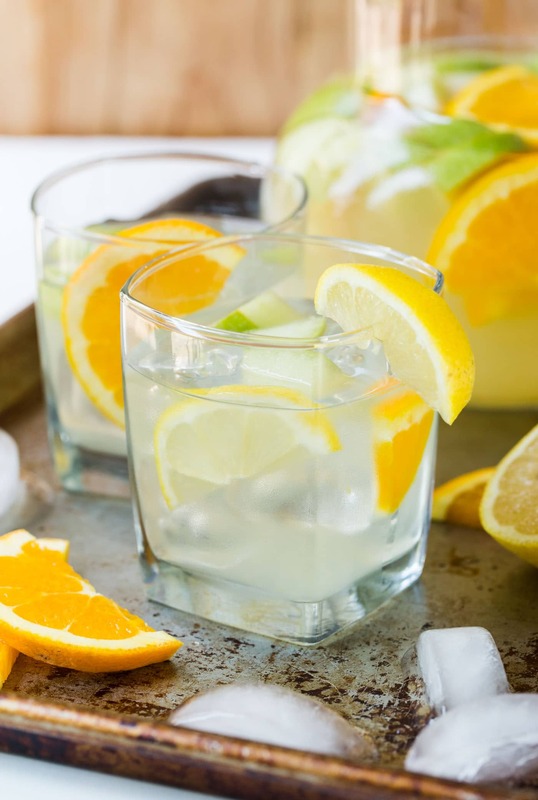 Are you a gin fan? 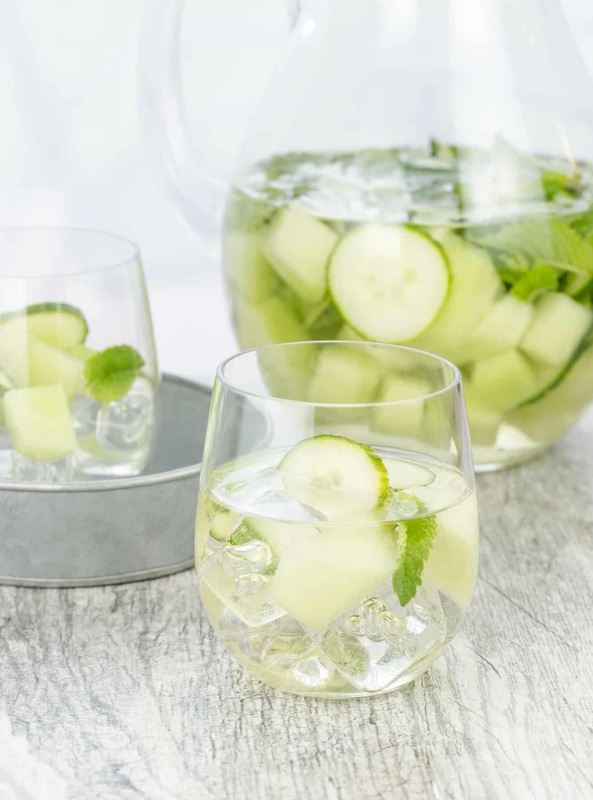 This Cucumber Melon Sangria sangria – made with refreshing cucumber, honeydew melon and mint – is a must try! Our Sangria Lemonade combines the best of both worlds. Made with lemon-flavored rum, this cocktail goes down just a little too easy. 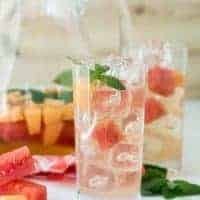 We are unabashed fans of elderflower liqueur, so it only makes sense that our lazy summer nights are spent sipping on this Elderflower Sangria made with cantaloupe and watermelon. Ever had pineapple and basil together? 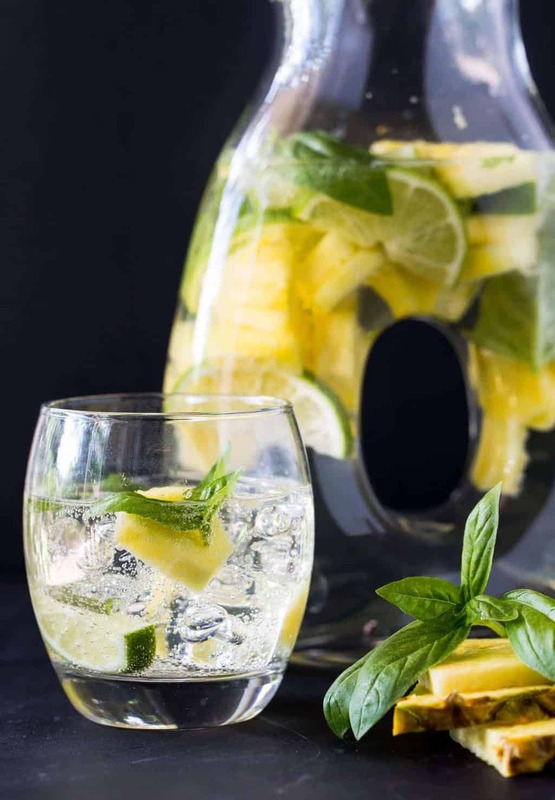 They make up the killer flavor combination in this 6-ingredient Pineapple Sangria recipe. It’s the ultimate thirst quencher on a hot summer day. A nip of brandy makes this Peach Rosé Sangria a little stronger than most sangrias! 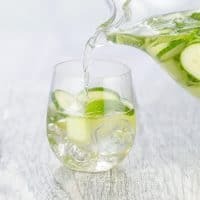 If you're a gin fan, this Cucumber Melon Sangria is a must try. 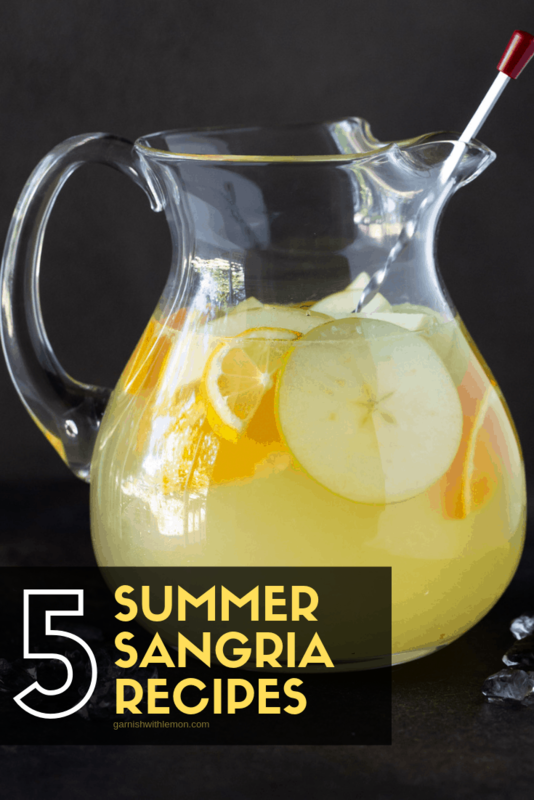 Summer entertaining doesn't get any easier than this Sangria Lemonade! This Elderflower Sangria recipe is a perfect way to cool off on a warm day! Ever had pineapple and basil together? It's a killer combination! 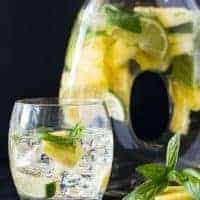 Give it a try with this Pineapple Sangria recipe! Hey Anna, Thanks for these 5 awesome sangrias! This summer is getting really hectic. I am gonna try these all! Sangria is my favorite. 5 to make this summer, yay! Can’t go wrong with a batch of sangria!